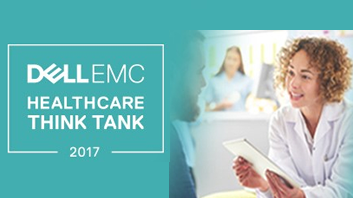 DellEMC has once again invited me back to participate at the 6th annual #TransformHIT Healthcare Think Tank event happening Tuesday, April 18, 2017 from Noon ET (9 AM PT) – 3 PM ET (Noon PT). I think I’ve been lucky enough to participate 5 of the 6 years and I’ve really enjoyed every one of them. DellEMC does a great job bringing together really smart, interesting people and encourages a sincere, open discussion of major healthcare IT topics. Plus, they do a great job making it so everyone can participate, watch, and share virtually as well. The great thing is that you can watch the whole #TransformHIT Think Tank event remotely on Livestream (recording will be available after as well). We’ll be watching the #TransformHIT tweet stream and messages to @DellEMCHealth during the event as well if you want to ask any questions or share any insights. We’ll do our best to add outside people’s comments and questions into the discussion. The Think Tank is being held in Phoenix, AZ, so if you’re local there are a few audience seats available if you’d like to come watch live and meet any of the panelists in person. 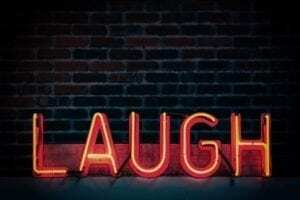 Just let me know in the comments or on our contact us page and I can give you more details. If you have an interest in healthcare consumerism, precision medicine, or big data and AI in healthcare, then please join us on Tuesday, April 18, 2017 from Noon ET (9 AM PT) – 3 PM ET (Noon PT) for the live stream. It’s sure to be a lively and interesting discussion. Be in good company. Join thousands of healthcare & HealthIT peers who subscribe to Healthcare IT Today. 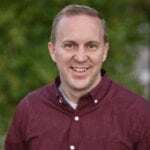 John Lynn is the Founder of the HealthcareScene.com, a network of leading Healthcare IT resources. The flagship blog, Healthcare IT Today, contains over 13,000 articles with over half of the articles written by John. These EMR and Healthcare IT related articles have been viewed over 20 million times. John manages Healthcare IT Central, the leading career Health IT job board. He also organizes the first of its kind conference and community focused on healthcare marketing, Healthcare and IT Marketing Conference, and a healthcare IT conference, EXPO.health, focused on practical healthcare IT innovation. John is an advisor to multiple healthcare IT companies. John is highly involved in social media, and in addition to his blogs can be found on Twitter: @techguy. Yeah, I’d like to come and witness this discussion. I’m really interested in these topics and want to learn more from some of these panelists who have verifiable, impressive backgrounds. And also from the two or so who I am unable to learn anything about their background. How Do You Handle a Lapse in Employment?